We have been supplying Protool Corp in Seoul since 2015. Since 2 years they have ordered all the tools that we are making in our Garden Tool Factory in Holland. The trip to Seoul was easy because of our stay in Japan. 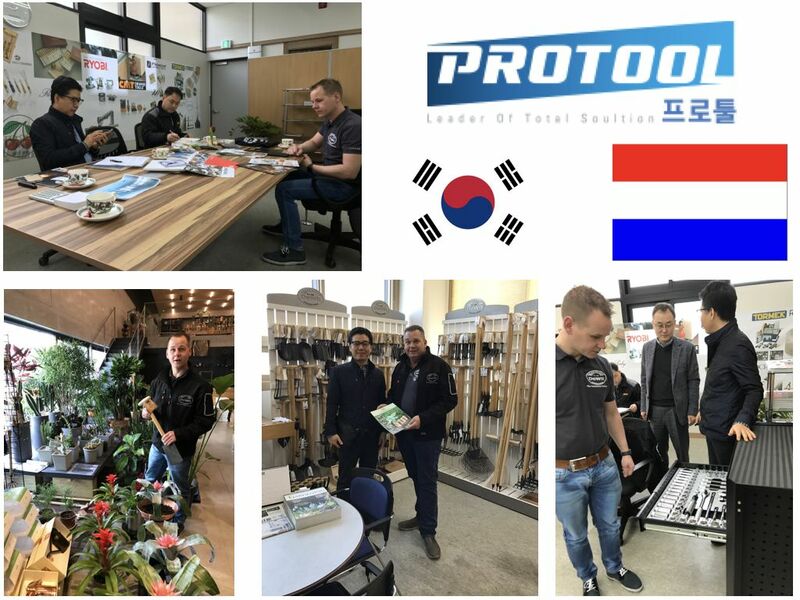 South Korea is a beautiful country with passionated people, we were more than surprised by the Protool Corporation. The company that is distributing tools like Snap On, Wera, Lie Nielsen, Knipex and DeWit in South Korea. During the 3 days stay we have learned a lot about the country, the gardens and the people. Top of the trip was the visit we made to the #1 Garden store in Gangnam, Queen Mama Market, the destination in Seoul of you Love #gardening. DeWit tools in the Showroom at Protool and also in the Queen Mama Market in Gangnam Seoul.